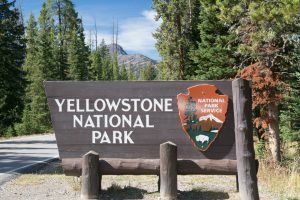 A pair of bills aimed at addressing the “benign neglect” of the National Park Service’s $11.6 billion maintenance backlog have received strong bipartisan support, with funds for infrastructure at the ailing federal parks drawing from energy leases and mineral development on federal multiple-use lands, the bill’s sponsors said. The House Natural Resources Subcommittee on Federal Lands heard testimony today on the bills—the “National Park Restoration Act” from Rep. Michael Simpson (R-Idaho) and Rep. Kurt Schrader (D-Ore.) and the “National Park Legacy Act of 2017” from Rep. Will Hurd (R-Texas) and Rep. Colleen Hanabusa (D-Hawaii). Rep. Rob Bishop (R-Utah), Natural Resources Committee Chairman, has sponsored both bills. Hurd’s bill would use mineral revenues for a dedicated annual fund to restore NPS infrastructure, drawing from the next 30 years’ unallocated revenue. The fund would dedicate 80 percent to repair assets like historic structures and visitor facilities, while the remaining 20 percent would be devoted to “transportation-related infrastructure” like roads, tunnels, and bridges. In his opening statement subcommittee chairman Rep. Tom McClintock (R-Calif.) said that agency priorities in acquiring land over reducing deferred maintenance has only exacerbated the problem. “We continue to neglect the land we already hold,” McClintock said. Maintaining the parks requires “active management, not benign neglect,” he said. “As we heard from the Secretary last week addressing deferred maintenance is a huge priority that requires significant, dedicated funding stream,” Hanabusa said. She pointed to $12 million in maintenance requirements at Pearl Harbor and $85 million at Hawaii Volcanoes National Park. 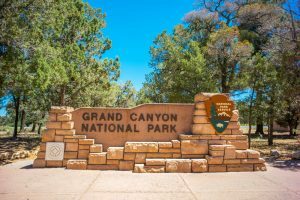 A September 2017 NPS estimate of deferred maintenance put the price tag at $11.6 billion for national parks, historic sites, and recreation areas, including some of the country’s top destinations, like Grand Canyon National Park in Arizona and Yellowstone National Park in Wyoming. Several states in the West with a large park service presence have deferred maintenance costs in the hundreds of millions of dollars: Arizona ($531.8), Colorado ($238.2), Montana ($217.6), New Mexico ($123.4), Nevada ($223), Utah ($266.1), and Wyoming ($701.9). “Many of our parks are old,” Hanabusa said, noting the NPS’ recent 100th anniversary. Hanabusa also sponsored both bills. Daniel Smith, Deputy Director for NPS, told the committee that the Interior Department supports the Simpson bill, H.R. 5210. Smith said the Interior Department “is more closely aligned” with the agency’s FY 2019 budget. “All Americans should have the opportunity to enjoy a national park, but without an investment in our infrastructure to go along with the record-setting amount of visitors, we are loving our parks to death,” Zinke told the Senate Energy and Natural Resources Committee last week. Under Zinke’s plan, the Interior Department would put half of the revenues from leases that exceed budget expectations into the fund to begin tackling the national park upgrades, and would be capped at $18 billion over 10 years. “Bipartisanship is hard to come by in Washington on any given day, but it’s especially scarce during an election year. Yet on one issue, reducing the maintenance backlog for the National Parks Service (NPS), a bipartisan consensus has emerged, intent on solving this problem,” wrote Bishop and Hanabusa in an op-ed for The Hill today. “It’s obvious that the NPS’ infrastructure is massive. But much of it is languishing due to neglect, old age, and decades of misplaced priorities in Washington,” Bishop and Hanabusa said. The effort must happen immediately, they said, given the skyrocketing number of visitors to NPS properties and facilities, up to 331 million visitors by the end of 2017.